Death is a social and legal event, as well as a biological event, and as in many other social and legal events, there are judgments or rulings to be made and certain formalities to be attended to. The Coroner serves the living, and is the advocate for the dead. How do I get copies of records? Copies of coroner dockets and autopsy reports can be requested by filing the proper form, which can be email, mailed, or faxed to our office. The request must be in writing and be completed in full. A photocopy of a valid ID is required. Please click here for the Records Request Form. 2. Are coroner files public record? Public records and information are defined as of July 1st, 2011 by State statute. 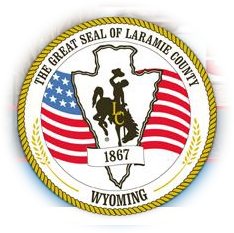 Cases that are under investigation, or in the process of adjudication, are not available as public information by Wyoming and Federal Statutes until those processes are complete. Medical records obtained by the coroner’s office are not subject to secondary release as restricted by Federal Law. Once a case has been closed and/or completed the judicial process, coroner dockets are public record by Wyoming Statute. See Statutes as referenced on the “Request for Records” page for details on what is or is not public record. 3. Where can I get copies of Death Certificates? Families should request copies through the local funeral home/registrar that handles the remains. While the coroner provides information, and certifies the death, our office does not provide the certificates. In the case of past deaths, copies of death certificates should be requested from the Wyoming Department of Health, Vital Statistics. 4. Why are there two different death certificates? Often, toxicology results are necessary in determining cause of death. The initial death certificate may have to be filed with the status of “pending toxicology” then the final certificate will be generated after the results are available. 5. Why is the Coroner’s Office involved in the death of my loved one? The Coroner’s Office is required by State Law (WS 7-4-104) to investigate all deaths that were not anticipated and may involve any of the following: Violent or criminal action; Apparent suicide; Accident; Apparent drug or chemical overdose or toxicity; Unattended death; Apparent child abuse; The deceased is in State custody in any manner; Cause is unknown; Public health hazard; Deceased is unidentified or unclaimed. The Coroner’s Office has trained investigators who are responsible for determining the cause and manner of death, confirm identification of the deceased, and provide notification of next of kin. 6. Is an autopsy needed? While this office always tries to accommodate the wishes of a family, sometimes an autopsy is necessary to determine the cause and manner of death. In many cases an autopsy will resolve many of the questions a family has about the nature of the event or death. Autopsies are at the discretion of the Coroner depending on the nature of the event or death. 7. When will we get autopsy results? The final written autopsy report is usually available six to eight weeks. 8. What are the costs? 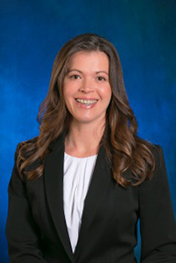 Any investigation costs, including autopsies, and other services such as transportation of the deceased, consultation on results or the investigation, are all provided by the Coroner’s Office at no cost to the involved families. 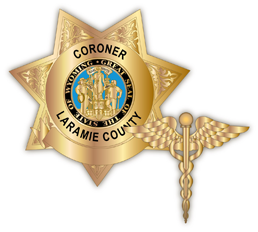 If the coroner’s office does not deem an autopsy necessary the family may request a private autopsy at their own expense through the Laramie County Coroner’s Office. 9. How do I receive or claim property or personal possessions? Any property recovered and held by the coroner’s office can only be released to the legal next of kin, or their designee, by proper identification and signature. 10. Will the coroner’s office work with organ donor organizations for anatomical gifts? Yes. However, the coroner’s office has a duty to determine the cause and manner of death. Therefore, the coroner will not release or permit the procurement of any organ that would hamper the coroner’s ability to determine cause and manner of death.